Dogwood in Arnold, CA is open for dinner seven days per week, is the best restaurant up here in the Sierras at 4,200 feet elevation, and it’s only 7/10ths of a mile from my front door. In decent weather, we can walk. 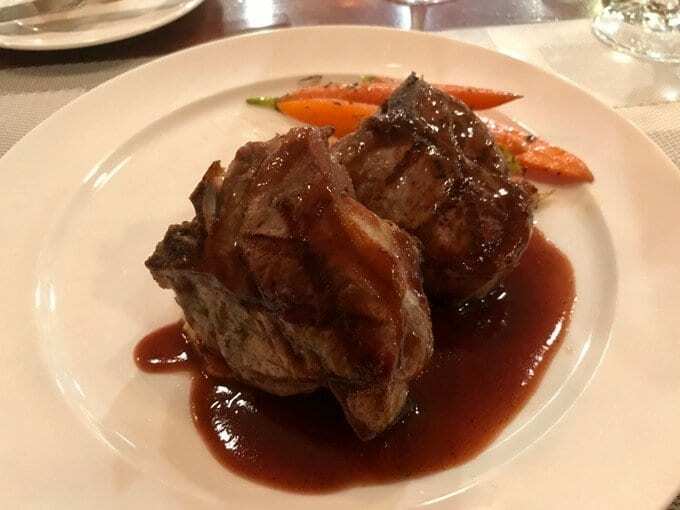 There’s another place in town that’s very good, but it’s Italian cuisine which is done well, but when you want serious beef, pork, lamb, poultry and seafood proteins—such as you see on that grill and ready to go on—this is the place. If you want great pasta (and it is), Sarafina’s Italian Kitchen is the place. 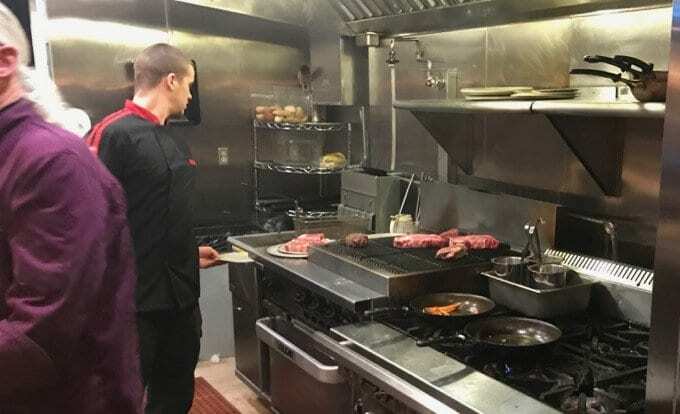 Opened this summer, Don, the chef-owner, has years of experience as a chef, and in catering and restaurant management. The restaurant business is very tough up here because that business, like vacations—and the enormous percentage of homes up here that are vacation homes—is moderately seasonal. You have to be adequately capitalized, have a solid plan in place, secure good and reliable suppliers, and you have to be able to attract competent help that cares about putting out a quality product and service that pleases customers. Don seems to have it all wired, judging by what I see and hear. I often don’t use Yelp because so many reviews are so obviously petty and stupid, but he’s done quite well there, even, with a 4.1 overall Yelp rating. Don’s a pretty good buddy, now. Bea and I went last night (busy Saturday), prompting this review; but when I’m up here by myself, I usually go mid-week when Don is less busy and we can talk food. We never talk anything else, but life in Arnold (his parents bought their vacation home up here in 1972). It’s an open kitchen with available bar seating and that picture is taken from my seat at the end of the bar. I get a nose full long before I get a mouth full. …A grilled nose full. So, now you get to judge for yourselves. This is just a sampling of the many dishes I’ve had there since opening last summer. I don’t usually snap pictures because I’m too busy having an excellent time. The entire staff is adorable, competent, and attentive—and they are sticking around, attesting to Don’s good management. 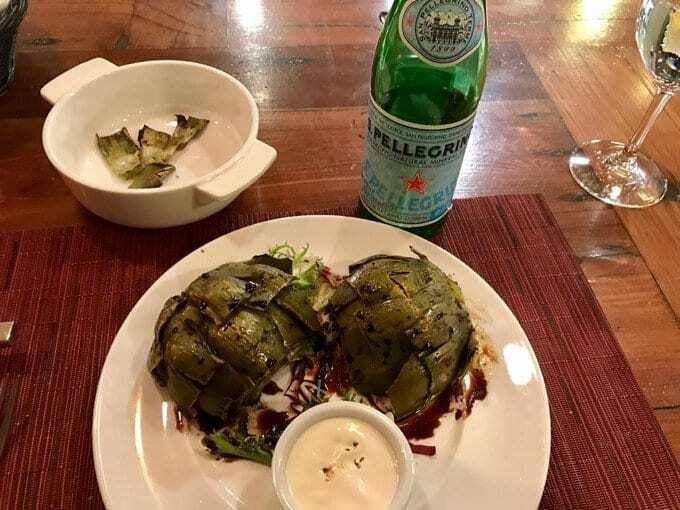 There’s a number of good apps and a couple of salads, but this is the one I usually go back to: grilled artichoke with a drizzle of reduced balsamic. This uses up my entire mayonnaise allotment. Like me, Don believes that a proper grade and cut of prime sirloin beats out a filet. Better price, too. 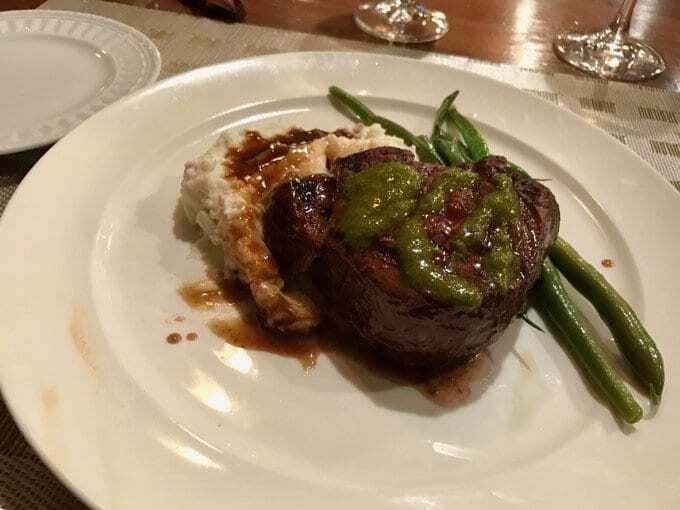 This grilled prime sirloin sits on a bed of mashed potatoes drizzled with demi-glace, and the meat is accented with house made chimichurri. 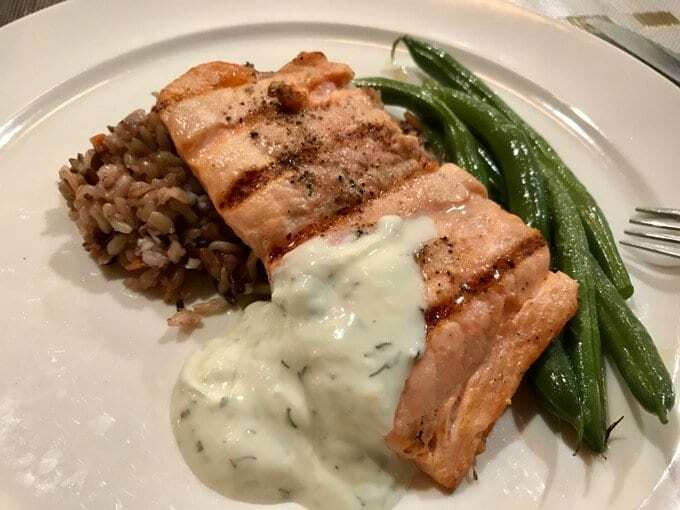 A perfectly grilled salmon, which means to moist medium rare. On a bed of wild rice pilaf, garnished with a dill sauce. His honking grilled ribeye, which is not actually on the menu, but often a special when he can get them how he wants them. I opted for the potato purée instead of the standard mash, and I believe that’s the red wine demi-glace. 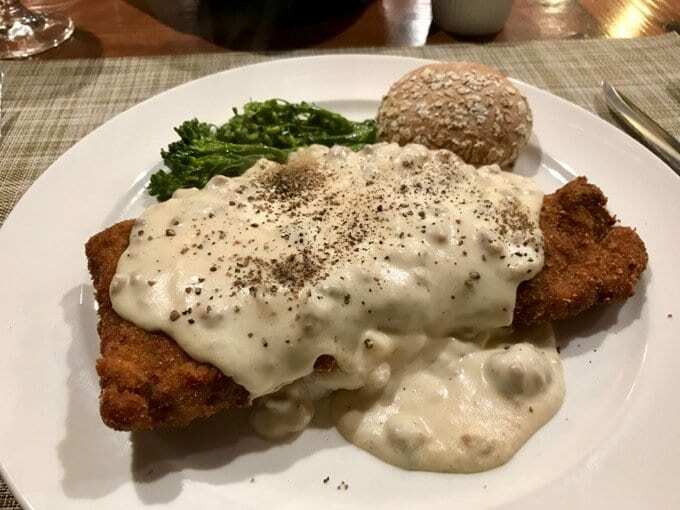 Sometimes you just have to go for the “heart-attack special,” in this case, a ribeye chicken-fried steak with country gravy. Bea’s dish last evening. 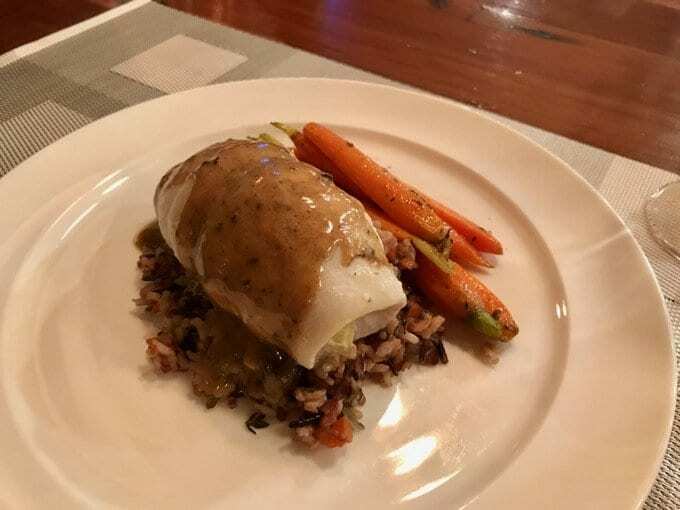 Shrimp and artichoke heart stuffed sole on a bed of wild rice pilaf. Those pan grilled carrots were especially great, too. My dish last evening. The lamb T-bone special. Two 6-ouncers. They’re sitting on a creamy polenta and the demi-glace is rosemary, but done right: a hint, because less is more. No dessert pics, but they’re all made in-house, like carrot cake, chocolate cake, and the favorite of Bea and I, the Basque cake which is not too sweet, just enough. So if you ever find yourself in the gold country, around the intersections of Hwy 49 and Hwy 4, or up at Bear Valley Ski Resort, then consider making a reservation for Friday – Sunday, or dropping in mid-week (at least for now). They’e at 1224 Oak Cir., Arnold, CA 95223 and (209) 813-7101. A party of two without reservations last night had to wait an hour just to be seated at the bar. This is just too good an opportunity to resist. On the Big Island of Hawaii, also at 4000 foot elevation is a small village, Volcano Village (pop 1500) there is a very small restaurant, a diamond, Cafe Ohelo. It just happens to be 7/10 mile from my house. We can walk there if we care to. I don’t have pictures right now but here is the link, if Richard allows. Look at the menu (and their pics) but don’t forget that many things not on menu including incredible Ahi tacos/pico de gallo (hot) and fire roasted cauliflower in parmesan cream/pine nut sauce. And the pizzas…….! One million visitors per year come to Volcano National Park. Make a reservation at Ohelo. Perhaps Steve Guyenet would not necessarily appreciate dangling Arnolds goodies in front of the crowd……. Would not eat the beef at Arnold’s…..but would go for the Salmon. thanks for the tip. Ohelo is first rate in the middle of nowhere. Maybe in March I will post some foodie pics. This man is like your Food Soul Mate! I work in social media and I can tell you, a review like this would get FRAMED at one of my places! 1) You can SEE them cook. You can also see that the place is clean. As much as I love to eat out, I shudder to think of what goes on in some of the kitchens where we’ve eaten. That one looks really nice! 2) You had me at Artichoke. I never really made it past the first one, though I did see another artichoke dish further down the list. I just totally love artichokes, and that one looks especially good. I assume from the lack of blogging that Mrs Nikoley is back? In part. But also Internet was down all Monday just when I wanted to draft a book review of The Hungry Brain. Then, some unpleasant family/health news same day, so we hit the road yesterday, Tuesday morning, for 8 hours. Now in Oceanside, CA for five days where it’s sunny and warm and I’m enjoying that immensely after a half dozen 7-10 day mountain storms over the last 2-3 months. Hope everything goes as well as it can with the family. Ok now I’m really damn hungry. That chicken fried steak reminded me of a meal a kindly older lady from Oklahoma once made for me after I did some work on her computers. All from scratch with gravy that stuck to your ribs. Arnold…that’s a little out of my way for my yearly visit to my home state…but I do have some family out in Sheep Ranch. Its been a long time since I’ve been out that way but I will have to check this place out the next time I do. As memory serves the summers were hot and there were bullfrogs and rattlesnakes everywhere. Sheep Ranch. Now that’s remoter than remote. Used to be a mostly dirt road a bit down the hill and right turn at Avery, but paved now. We went to San Andreas via that route, and Mountain Ranch, last summer. 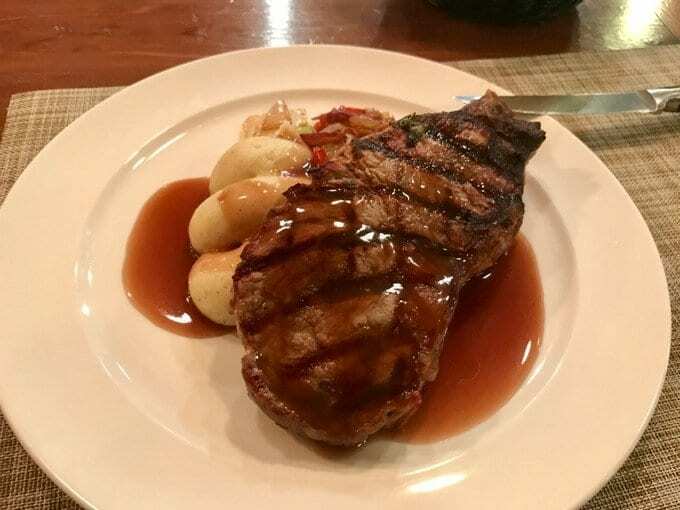 Thank you Richard for your no nonsense, tastefull ( pun intended) review of Arnolds upscale restaurant. Chef Don is awesome and he has indeed personally trained everyone on his staff. We frequent regularly and ” belly up to the bar” mid week as well. We have a business in Arnold and we want all businesses to succeed. Keep watching as the next steak house is about to open in June and a new wine bar very soon as well. Keep supporting the locals. We love you for that. You’re welcome, Lynn. It’s been a great place to frequent (twice last week, in fact). Wow, everything looks incredible! It’s getting harder and harder to find restaurants that serve actual whole ingredient food. I live about 90 miles from NYC in upstate, but even there in NYC commercial chains are flooding out all of the mom and pop restaurants and stores. Love these posts, btw.